Once you’ve made it to Pompeii, don’t waste any time waiting in the heat to buy tickets. 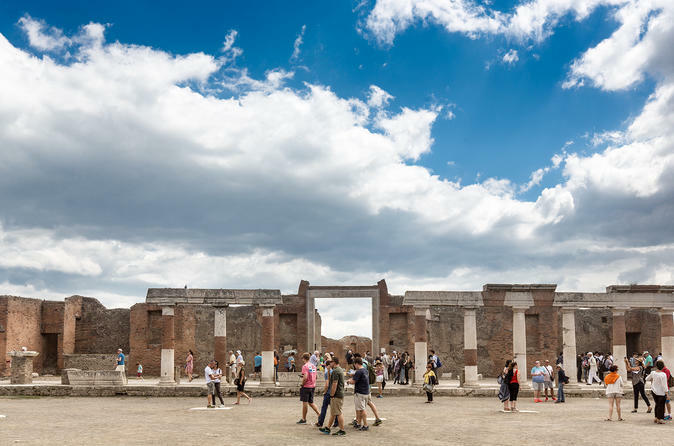 Pre-book your entrance and head right inside with an official guide who shares the fascinating history of the ancient Roman city buried by the eruption of Mt. Vesuvius. The ruins can be hard to interpret on your own, so let an expert add context and detail to make the most of a visit to the UNESCO-listed archaeological site.